Ingatestone is about 20 minutes by car from Mayhem so if you fancy a game of paintball and your from Ingatstone we are the other side of Ongar, Mayhem Essex will be your closest Venue. We have an amazing Venue and Mayhem Abridge is regarded as one if not the best in the UK please check out our Goggle reviews. 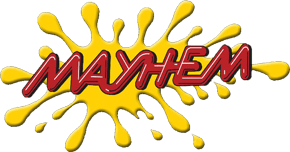 Mayhem has been running for 26 years since 1987 since then we have grown the venue and it has a unbelievable 16 different themed playing field. If you are looking for paintballing Ingatestone and want to have a look call us or email us and we will be happy to show you around our office is on site so we can show you around any day of the week.